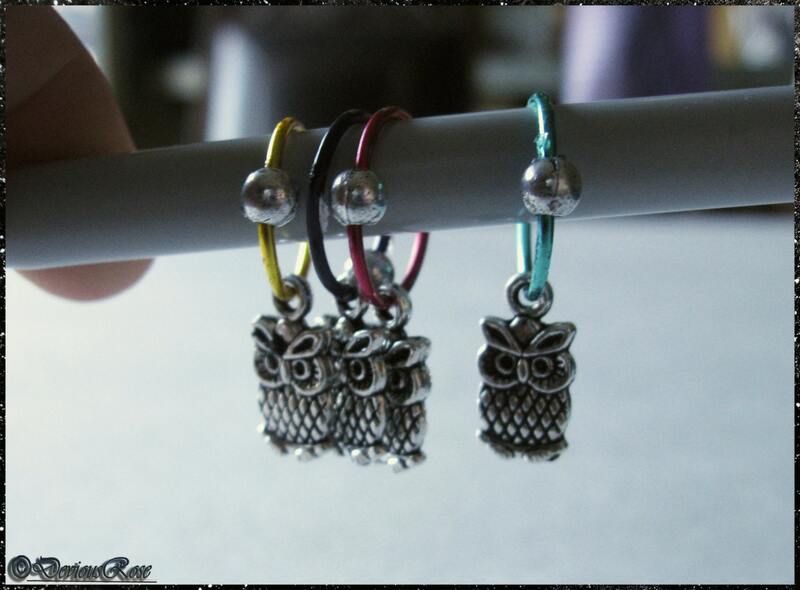 Owlie Stitch Markers and Valentine's Day Sale! 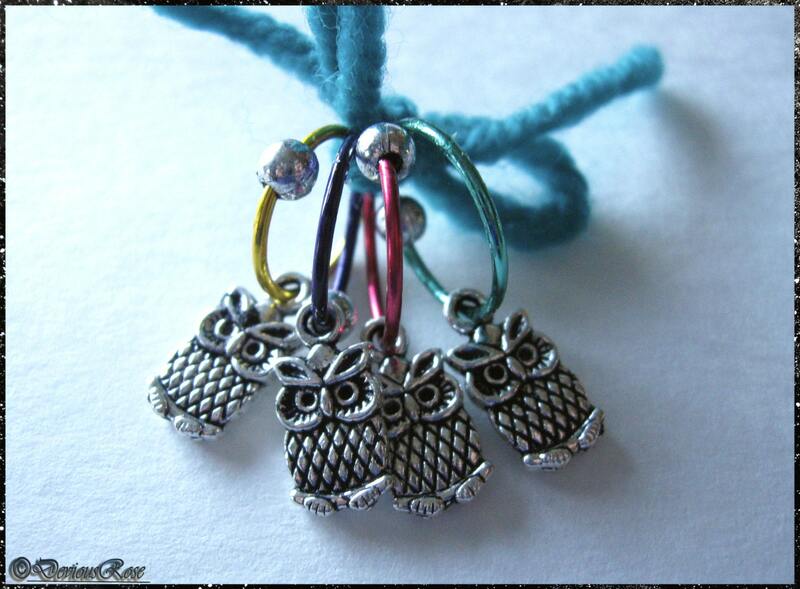 I've just entered these cute little owl stitch markets into my Etsy shop. They are large, 12 mm stitch markers that can fit up to a US 17/12 mm needle. The picture below shows them on a US 11/ 8 mm knitting needle, so you get an idea of how well they work for chunky and bulky knits. They also work equally well on smaller needles- I used a similar pair successfully on US 8/ 5 mm needles with sport weight yarn and knitting went beautifully. I have finally had my Rosewood Cowl pattern tested and tried, and it is live on Ravelry for $3.00 USD! The pattern has two downloads, one for the pattern proper and a step-by-step photo tutorial for the rosebuds, which are extremely easy to make, just difficult to demonstrate by words alone. 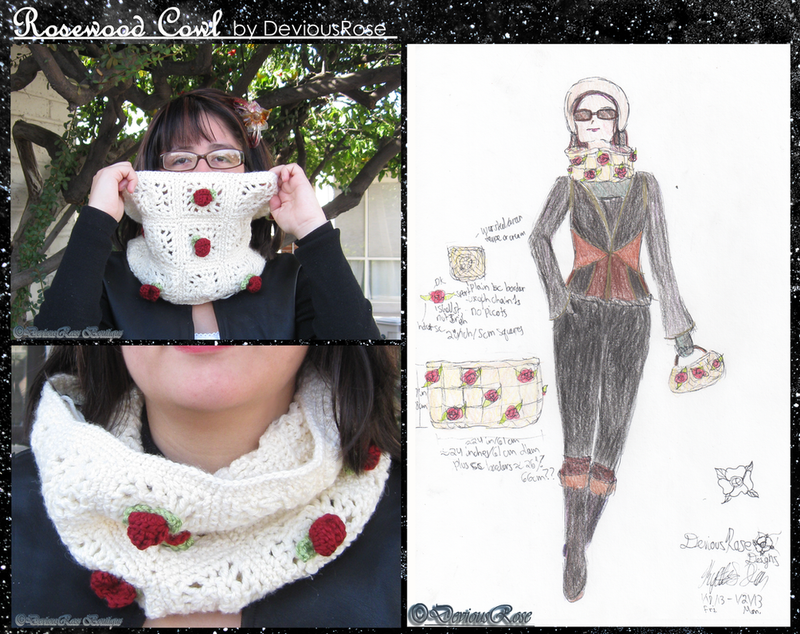 If you want to see the other blog posts I made regarding this pattern, see Of Wood and Roses (WIP and initial design concept sketch) and Roses, Cream, and Yardage (pre-blocked cowl).